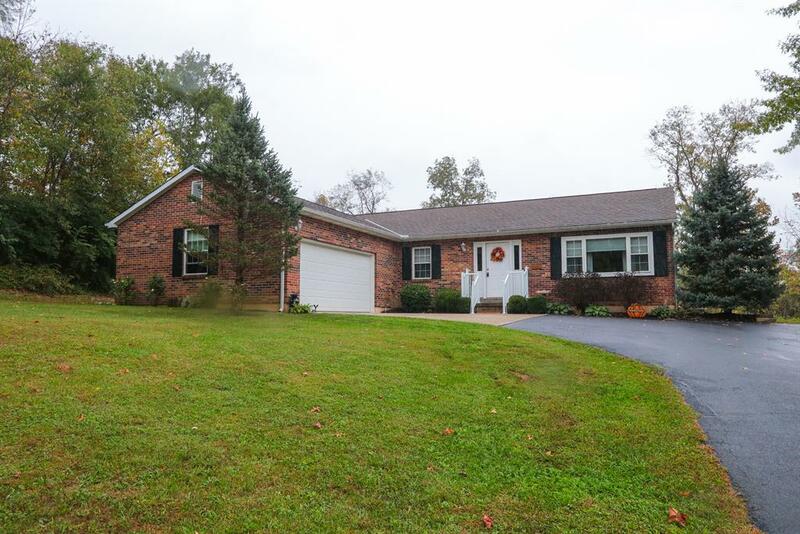 Stateline Rd to Salt Fork to One Mile to R on Cumberland to L on Appalachia, R on Blue Ridge, L on Cades Ct.
On a private setting this 3 bedroom brick ranch home features large eat-in kitchen w/breakfast room, formal DR, LR w/wbfp and walkout to partial covered deck. Newer mechanics, roof, gutters, updated kitchen. All on 1.034 private acres. NOTE: This property was sold on 11/13/2018 and is no longer available. The details listed below are believed accurate to the date of the sale and are subject to change.